I’ll be honest; I broke my rule due to the lack of choice around work and have been to the Blue Gum 3 times now. The first two times I was there for lunch I was quite sick (not from the food), and had the beef sliders which were ok, and a schnitzel which was great. This time round I opted for a steak review. I knew from previous visits I was ordering the 300g wagyu rump. I had it cooked medium rare with chips and salad. I’d usually stick to a rare for a rump, but the menu said 7+ marbling so I really wanted the fat to melt. 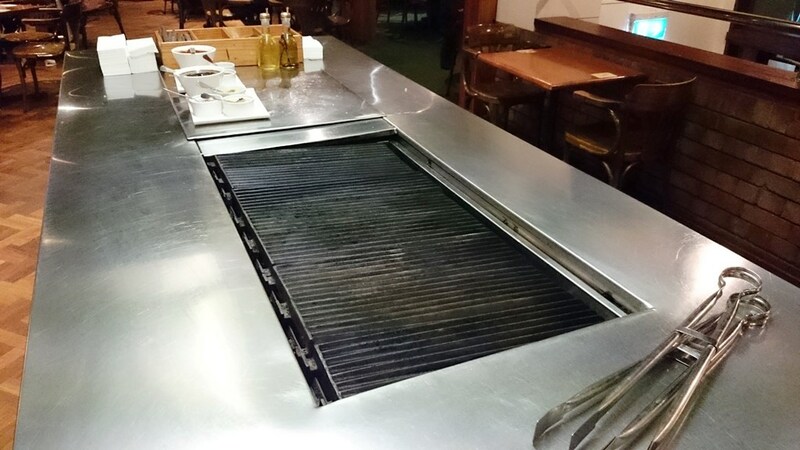 The Blue Gum also have a BBQ option, you can cook your own steak on a bbq there. 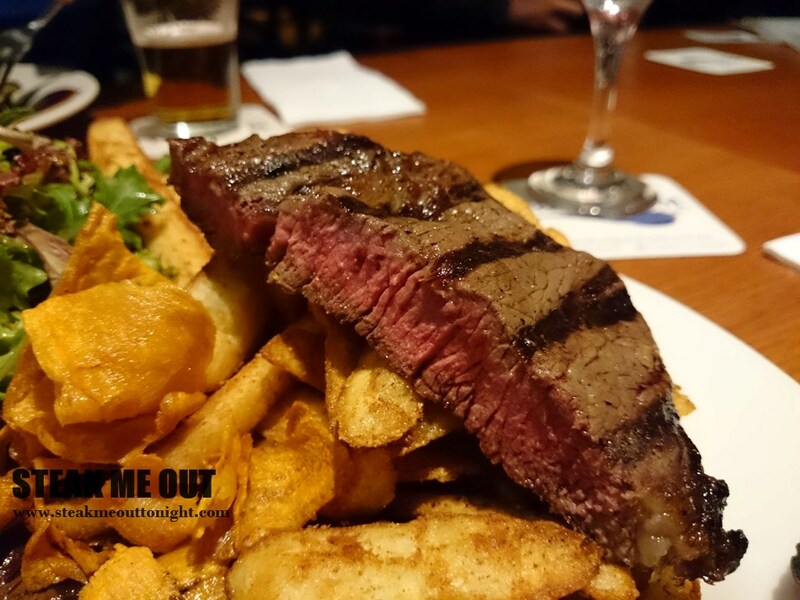 15 minutes later the steak was ready, it was order and pick up (like so many places I’ve noticed in Sydney). It looked ok, not a very heavy aroma and slightly thinner than what I was expecting. It was cooked adequately but not amazingly. Upon tasting I was underwhelmed. Slightly under seasoned, no great char and the tenderness was sub-par for a wagyu rump. You definitely couldn’t tell it was 7+ wagyu. The best part of the meal was probably the pepper sauce, amazingly done. 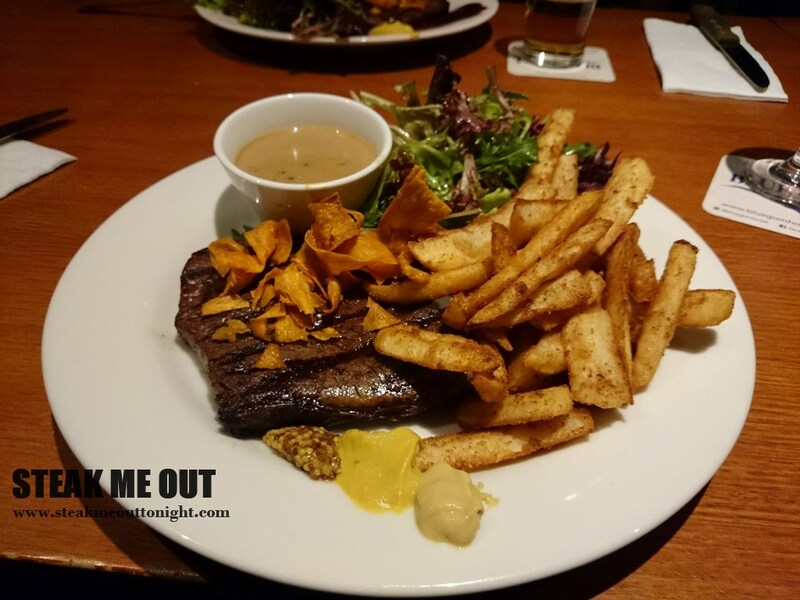 Posted on March 27, 2015 March 27, 2015 by AdrielPosted in Steak, SydneyTagged BBQ, Rump, Steaks, Sydney, Wagyu.